This is an original production cel from the Walt Disney Studios production of Mickey's Christmas Carol (1983). 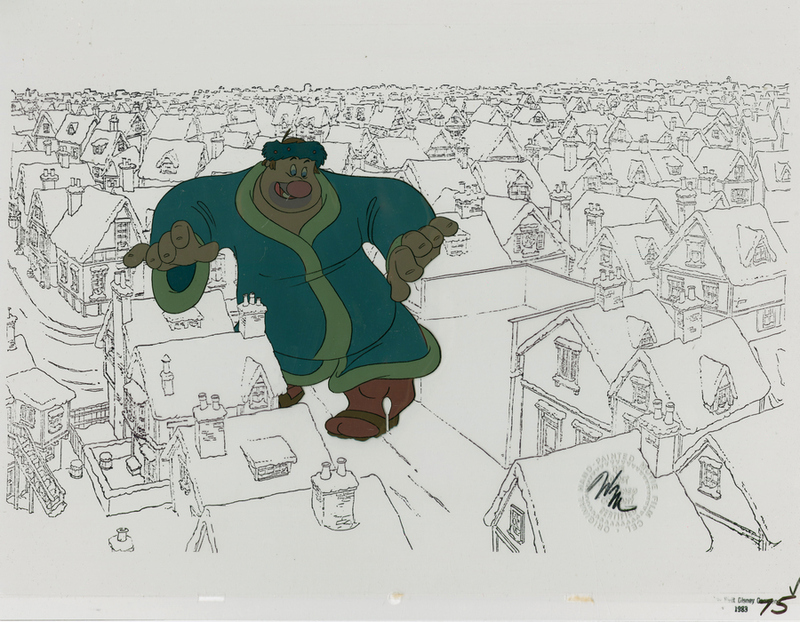 This hand-painted cel features Willie the Giant, the Ghost of Christmas Present, clumsily walking through the city streets. 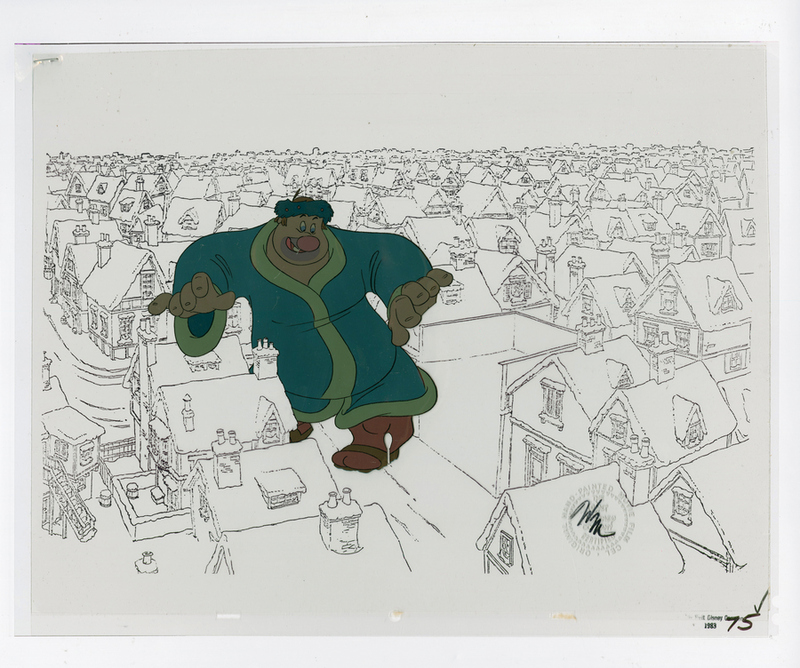 This cel was created at the studio and used during the production of the film, representing an actual frame of animation that was photographed and appears in the film. The overall measurements of the piece are 12.5" x 16" and the image itself measures 6" x 6.5". The cel is in very good condition and is paired with a cel layer that features the line work for the matching background from the scene.